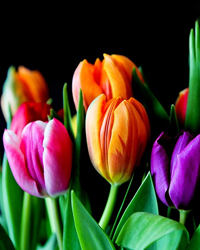 Four Oaks, NC: Mrs. Judy Allen Dunn, age 70, of 2723 Juniper Church Road died Tuesday, April 9, 2019 at Wake Medical Center in Raleigh. Funeral Service will be 4:00PM Friday, April 12, 2019 at Oliver's Grove Baptist Church in Four Oaks. Officiating will be Revs. Scott Johnson and Steve Morris. Burial will follow in the church cemetery. 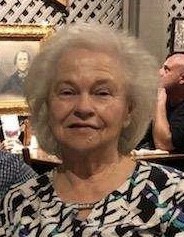 Mrs. Dunn was born January 10, 1949 in Johnston County to the late Earnest R. and Rachel Adams Allen. She was preceded in death by her sister, Sue Beasley. Mrs. Dunn worked for many years at the White Swan in Smithfield. Prior to their retirement, she and her husband, Bobby owned and operated the White Swan in Benson for many years. Mrs. Dunn was a member of Oliver's Grove Baptist Church, Four Oaks. Surviving include her husband of 50 years, Bobby Wayne Dunn; sons, Bobby Wayne Dunn, Jr. of Four Oaks, Robbie Dunn and wife, Janna, and Bradley Dunn and friend, Amy Cox all of Dunn; granddaughters, Kaytlin Dunn and Megan Dunn; sister, Faye Beasley and brother, Johnny Allen and wife, Martha all of Four Oaks; many loving nieces and nephews. The family will receive friends prior to the service from 2:30PM-3:45PM, Friday, April 12, 2019 at Oliver's Grove Baptist Church and other times at the home. Arrangements handled by Rose and Graham Funeral Home in Benson.